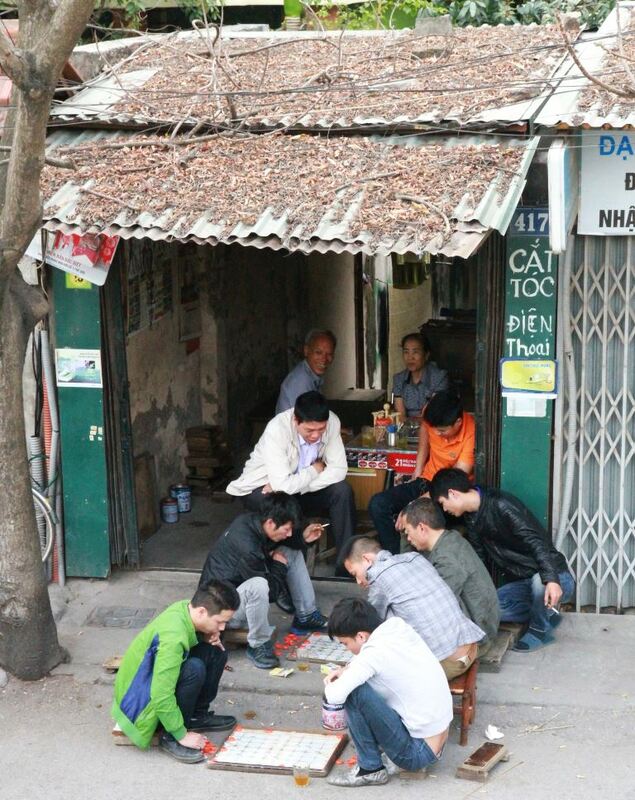 After finishing my simple lunch and I came across a group of Vietnamese in putting concentration on playing Chinese Chess while we are busy looking at them. After a short nap at the bus and we are touching down at the Ho Chi Minh Mausoleum (http://www.vietnam-guide.com/hanoi/hochiminh-mausoleum.htm). Well, we are not allowed to walk on the path next the hall as the security guards will shout at you and hopefully, they will not shoot you! 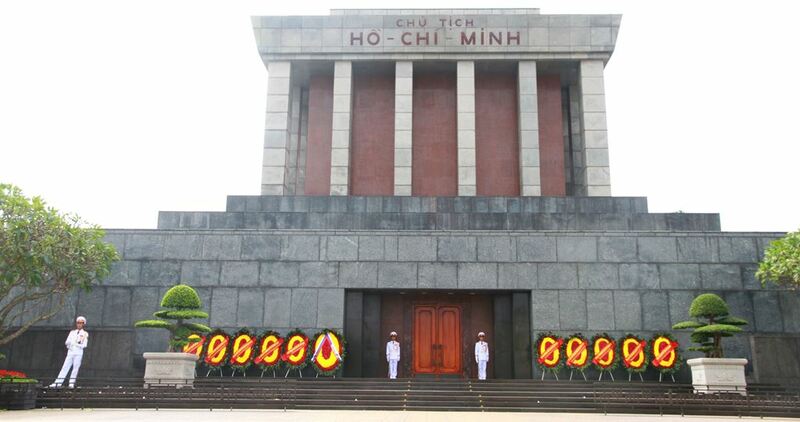 Just take a couple of pictures and learned some history about Mr Ho Chi Minh where he is the father of every Vietnamese as he did not get married due to putting all his lifetime in developing Vietnam. 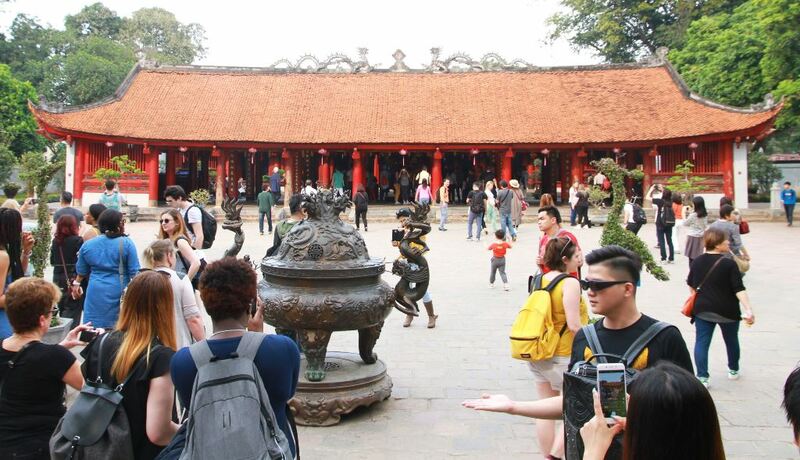 As I'm doing my Doctorate papers, a visit to the Temple of Literature (http://lense.mycharminggirl.com/2013/12/temple-of-literature-confucius-temple.html) will do me good. As we are just taking a short drop-by, I did managed to put on some joss-sticks to the Confucius God and make some wishes. This temple is usually crowded by weekends and the entrance fees is around RM 3.00 if not mistaken. 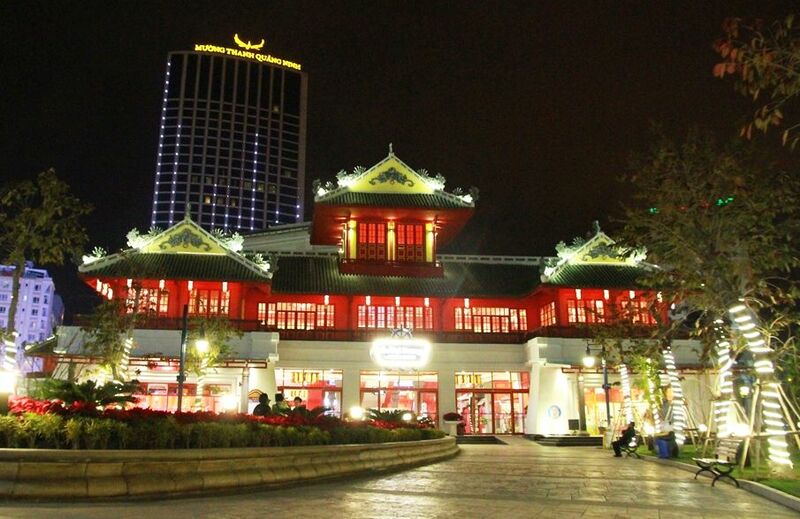 A good temple to drop by in learning some history about Confucious. 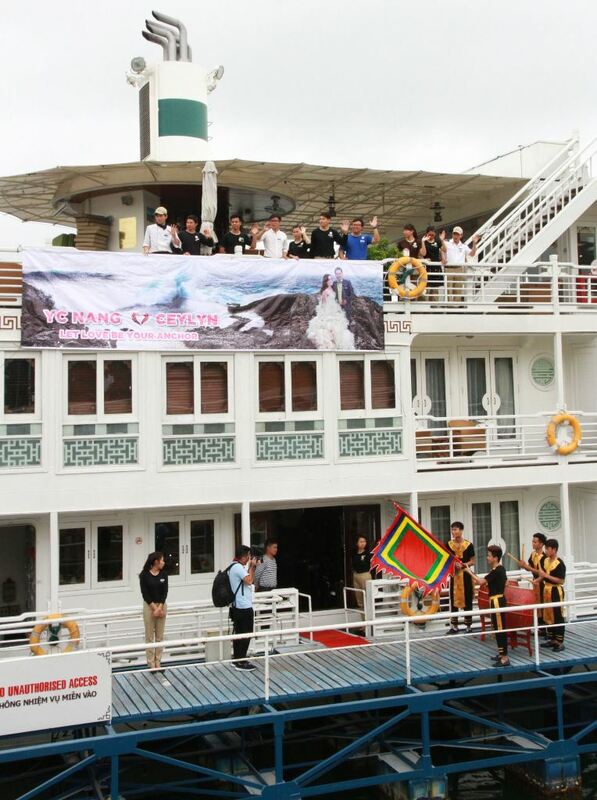 Here comes the main purpose of this whole trip, attending my buddies (YC Nang & Ceylyn Tay) cruise wedding at Halong Bay. Can you see the wedding banner which is hanging at the ship? The Halong Bay ( https://www.lonelyplanet.com/vietnam/northeast-vietnam/halong-bay) and do you know that KONG (https://www.youtube.com/watch?v=AP0-9FBs2Rs is having filming using Halong Bay as background too! 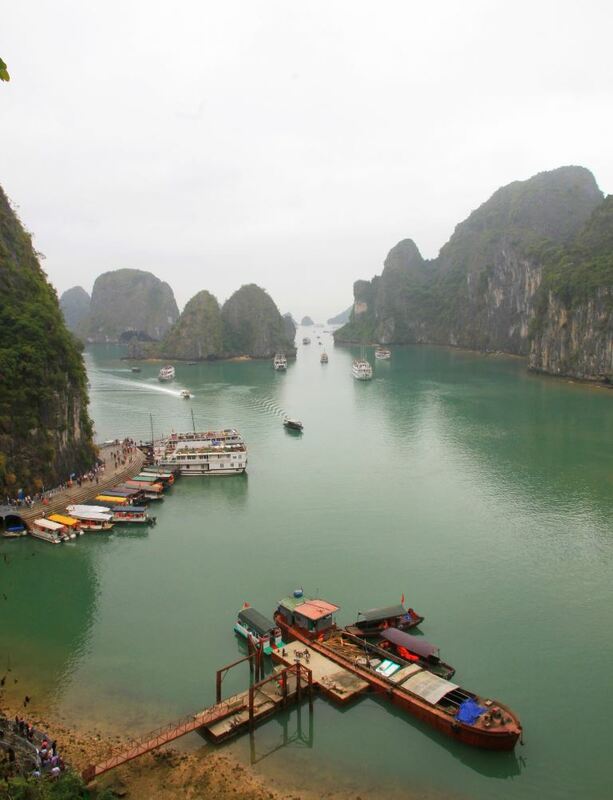 This cave named Secretive Cave and it is located at nearby Halong Bay. The special of this cave are: i. It's big in size ii. Colourful iii. Plenty of story created based on the rocks iv. The natural cool air inside the cave. 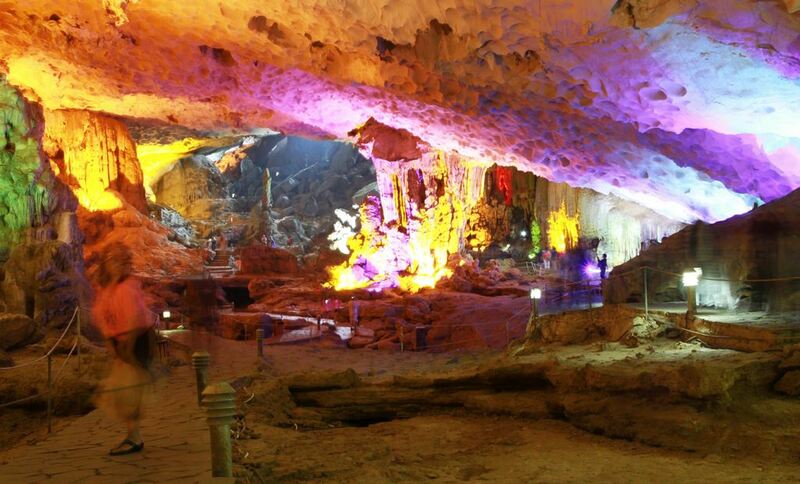 Apart from that, it is similar with our caves in Malaysia. Long story cutting short where after our lunch, the tour guide brings us to visit Vietnam's local museum..and lets take a look what is inside. 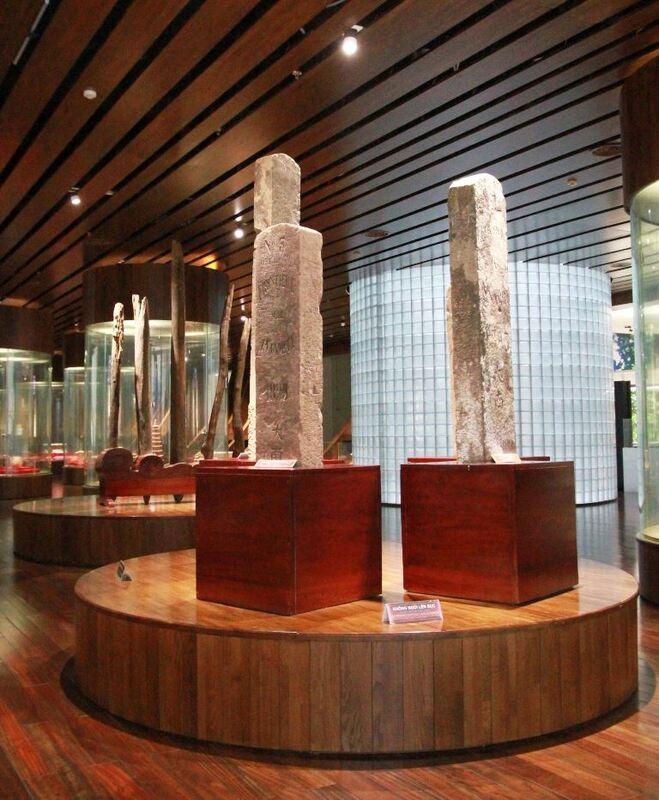 The stone artifacts from the Vietnamese's great great great grand moyang's era and its is very precious. 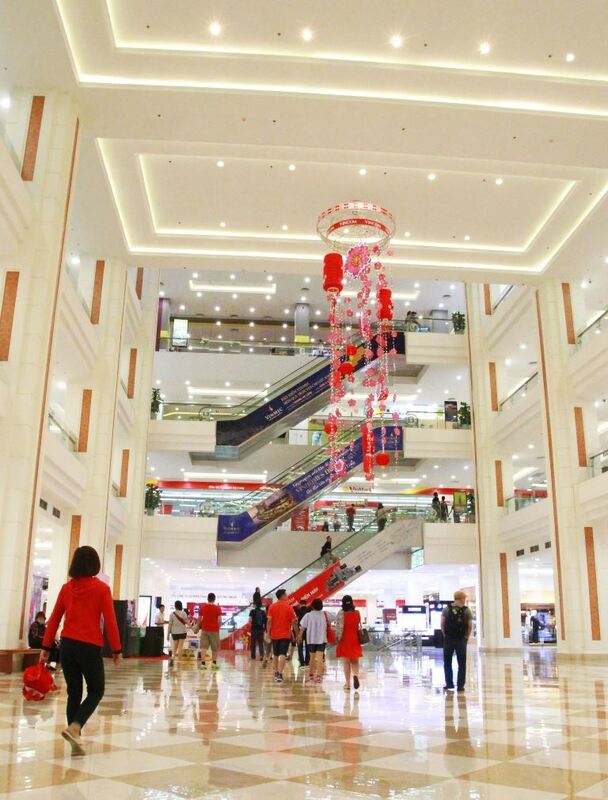 This is how a common shopping mall looks like at Vietnam (an ex communist country) and based on my survey, we cannot find those macho bravadoes brand here where mostly local brands. Just take a walk at its local's market where seafood is plenty. At first, I'm not sure what is this and by walking closer then I know that is an oyster. 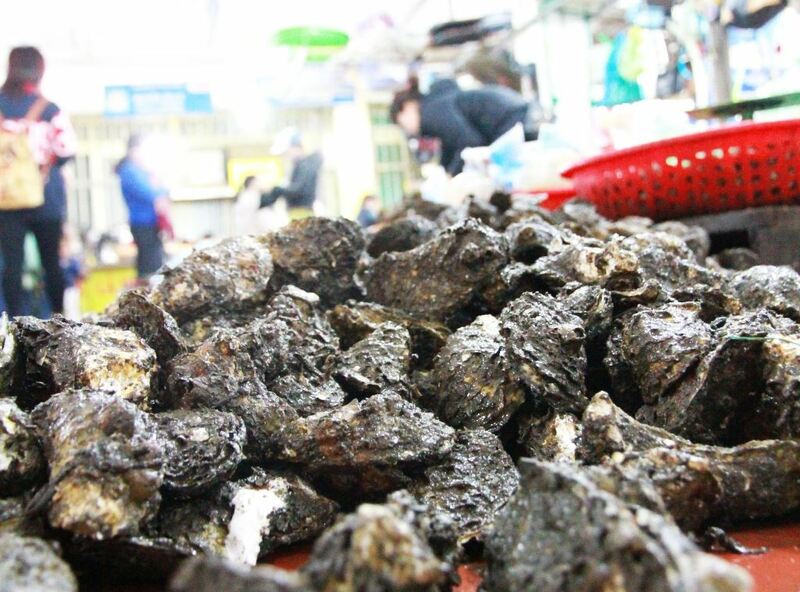 One can find tasty oyster at town's market. Actually, we all reached Asia Park Danang by evening and this is the entrance to the gigantic Sun Wheel of Vietnam. 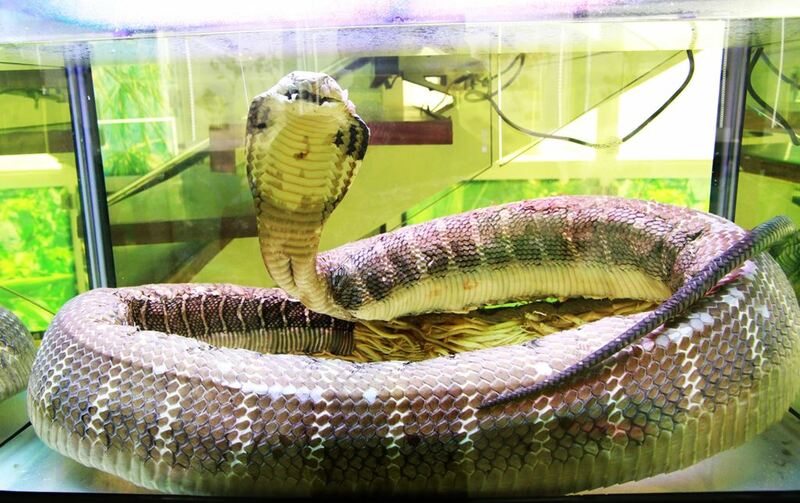 Read more at https://www.theblondtravels.com/asia-park-amusement-park-vietnam/. The park is quite big but visitors are not that much due to its a normal workday. 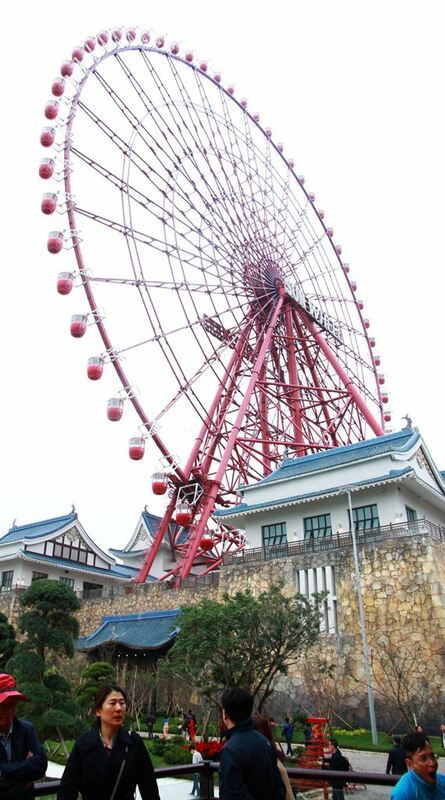 This is the Sun Wheel of Asia Park in Danang, Vietnam. We all give it a ride and when we reach to the top, it is quiet scary and let me show you how it looks like. 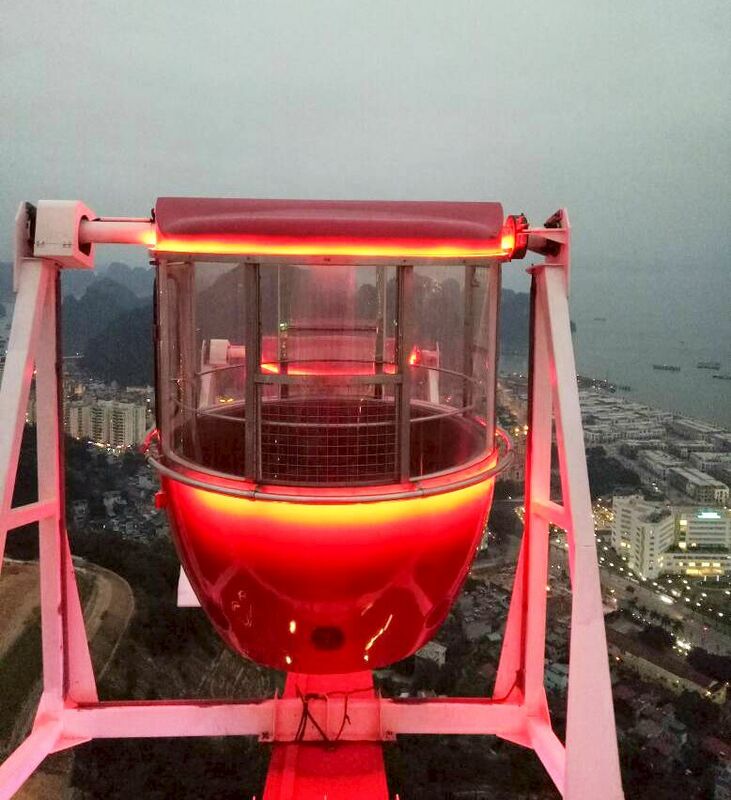 The top of the world at the Sun Wheel and can you see the big building looks so small. Sorry for the poorly take pics as I'm shaking inside the wheel. 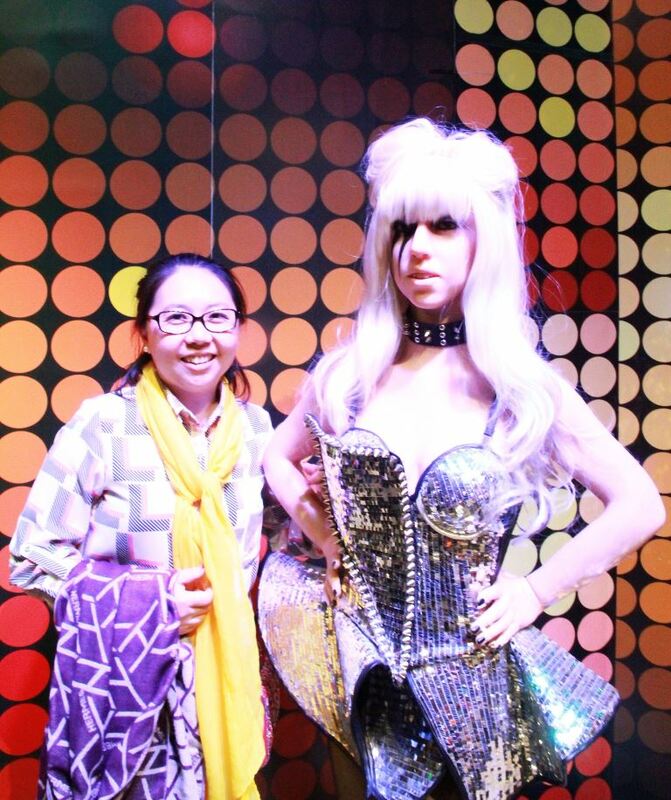 When we are on the way out, we just stopped by at Wax Museum and seperti biasa, just take couple of shots on those hot shot individuals like Bruce Lee, Lady Gaga, David Becks and bla bla. Overall, Thank You to my buddy YC Nang and Ceylyn Tay for the trip arrangement although it's a short trip but we truly enjoy on each and every visit.